SEO is something every website that is serious about becoming successful pursues and while it is important, there are other more important tasks that your business needs to excel at in order to gain an edge on the competition for online activities. When you know what those tasks are and focus business building efforts in those directions, you will gain far greater success than relying on SEO alone. Content is the first most important task that should be an ongoing effort. It does help if you use keywords in that content, but making sure it is the highest quality content to engage, compel and educate your target market should come before SEO efforts. The best websites offer a variety of content to keep their target market engaged including articles or blog posts, high quality images and videos. When you are able to offer great content on a consistent basis, your target market will be more than happy to keep coming back. 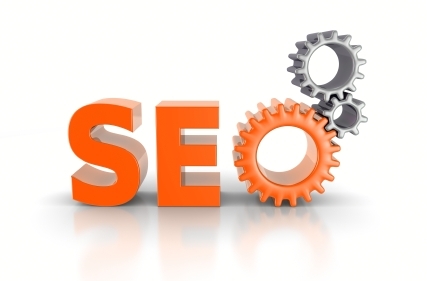 They will also share and talk about the content you are offering which will further enhance SEO efforts. Community is the next task to focus on because building a community on your website and through your social media profiles will build the social proof that many of your target market is going to look for to see if your business is trustworthy. A solid community also offers a great deal of marketing value and will enhance any other SEO efforts because search engines rate for importance. The more people that are talking about your business, the more important it will be considered. Collaboration is the third task that should be focused on before you set your sites on the best SEO for your website. This can be as simple as contributing to meaningful conversations at social media sites such as LinkedIn or topic specific forums. It can go further to include guest posting at relevant blogs or commenting at news websites. This form of collaboration will establish your business as an expert in the field, increase trust and help instill more community. When your business objectives focus on high quality content, building an active community and collaborating at other websites, the SEO will come in second nature because content, community and collaboration will automatically show that your website is relevant and important. The two things search engines value most today when considering which sites to rank highly in their pages.